E-commerce is one of the fastest-growing industries, and the first service a shop owner needs to consider is a payment gateway. Starting an e-shop is as simple as subscribing to a shared hosting plan and choosing the shopping cart software for your checkout page, but to process payments, you will need a payment gateway such as PayPal, Paypoint, Payflow or the provider of your choice. 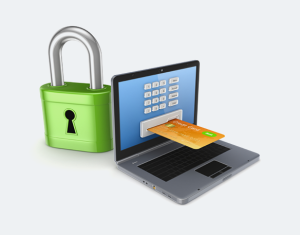 When it comes to payment processing, you have two options to choose from: a hosted gateway or a page coded into your website. With a hosted gateway, customers are sent to an external site to enter their credit card details and then routed back to your checkout page for the order confirmation. With a hard-coded gateway, your customers stay on your website the entire time and enter their payment details into a custom-coded page on your website. It’s not difficult to set up a custom payment gateway, but it does require basic Web programming skills as well as regular PCI data security standards evaluations to ensure your site is compliant, according to the PCI Security Council Standards. The easiest and most common method is to use a hosted gateway, and some of the larger companies such as PayPal provide integrated widgets and embedded windows for securely capturing credit card details. Many new website owners aren’t sure about the difference between a payment gateway and a merchant account, and both of these services are needed for accepting credit card payments online. While a payment gateway simply provides the service of processing customers’ credit cards, authorizing transactions and transferring money, a merchant account is required to store the payment until it’s transferred to your bank account. A merchant account is like a bank account, because it securely stores your money, but you can’t access the funds until they’re transferred to your business’s checking or savings account. Although it’s quite easy to set up an online store and start selling the latest Internet retail trend, payment gateways have restrictions on the type of products you can sell. If you’re selling ammunition or electronic cigarettes, you have a limited selection of gateways to choose from, and selling unapproved products through a gateway can result in you being permanently banned. Another way to become banned and possibly fined is by allowing online scammers to make purchases through your store. This crime is an unfortunate reality of running an e-commerce site, but there are safeguards you can use to protect your business from fraud. By installing anti-fraud tools and cyber security protection on your website, you reduce the risk of selling items to criminals with stolen credit cards, according to e-Commerce Times. When these people buy items online, they usually time the purchase perfectly so that the real owner of the credit card doesn’t request a chargeback until the merchandise has already been shipped. The bank cancels the transaction, causing the payment gateway to lose money. You lose the product you shipped, and the criminal gets a free gift at your expense. However, aside from credit card fraud, payment gateways are quite secure, because they use sophisticated encryption methods to protect customers’ credit card numbers. With the proliferation of mobile devices, more people are buying items online every year. It’s never been easier to start a retail business on the Internet, but you have to know how to set up a secure checkout page with a payment gateway.